Thanks Steve. Sure, I learned how to do that in life saving classes myself over 50 years ago. Still, it might be nice to be able to cross a river and stay dry. 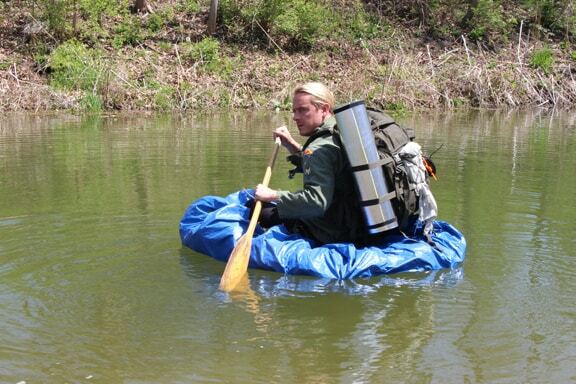 I plan to use my Pocket Poncho Tent to make a canoe for crossing wide rivers. Stay tuned!